I was not prepared for the emotions this book would evoke in me. I'd bought this book on a book-buying binge, as an amazon suggestion and really only hoped it'd be a light summer read. It wasn't. Not really. At first it was this really well written teen romance with two characters who came from completely different lives that you couldn't help but love. This alone kept me reading eagerly, but then this unexpected chaos erupted and I found myself crying for 40+ pages - crying ugly, snotty tears. I am thoroughly impressed when a book can move me to this level of emotion and it's an even more rewarding feeling when you didn't see it coming at all. Even if this book hadn't been so emotionally powerful, things like the "on the water" town and the large, loving Garret family hooked me right away. This is a book I'm really glad I bought. 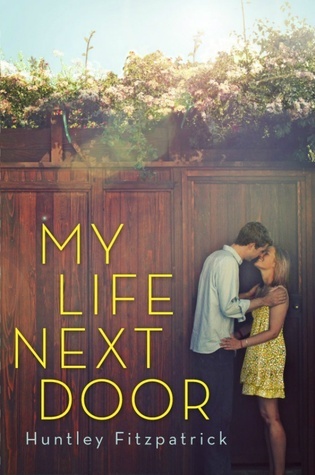 Sign into Goodreads to see if any of your friends have read My Life Next Door.